Growing up through bullying and a whitewashed landscape, Dara Shen finds she has what it takes to be a champion. When Dara Shen texted me in late January, she said “I’m a National Champion now. Elite athlete. Member of the national team. Team USA. :)” Shen’s journey to elite athlete has been a long one. 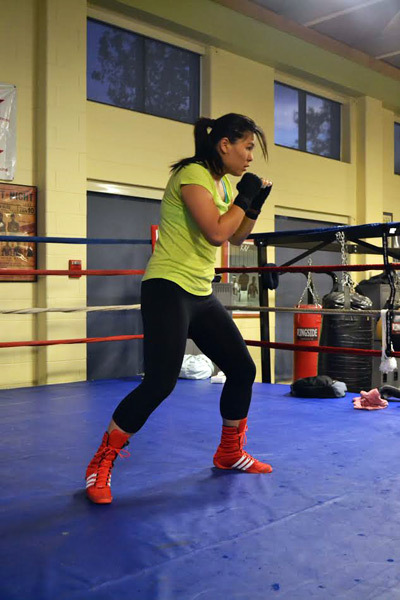 As an Asian-American female boxer in a male-dominated sport, she admits it has not been easy. Born and raised in San Francisco, Shen is the second of four children. Before moving from San Francisco when she was about 11 years old, Shen and her sister were often bullied in public schools, where she says her peers were predominantly black. Even years after, Shen has a hard time talking about being a victim of bullying simply because she was different. From ages 11 to 15, Shen said her family lived in Utah, a state she calls “very homogenous.” She often wondered why she couldn’t look like everyone else and just fit in because there was no one like her around. She struggled with her image and worried about being different. The contrasts between Shen and her peers went as far as her parents, she said, explaining that her parents’ standards were quite different culturally, which also made her stand out. The feeling of being disconnected from others continued well throughout her high school years in Virginia, she explains, where she attended three different high schools: TC Williams, W.T. Woodson and Thomas Jefferson. Even with the schools being tremendously diverse in cultures, there was still a gap that left Shen feeling as if her peers didn’t understand her. Things changed during her college years. Shen paved her own way, making her own group of friends from all different walks of life. “I could never be accepted with the white people because I’m not white. And I could never be accepted with the black people because I’m not black either, but I found that a lot of my friends ended up being multicultural [where] I could fit in,” Shen recalls. And not too long after a break up with a boyfriend, when she was 20 years old, Shen found a place where she could really examine who she was and what she wanted: in the boxing ring. Mentally, she was in a place where she was ready to take on whatever life threw at her. Boxing is an individual sport, and when she steps into the ring, Shen says she faces a number of questions. Work hard at her craft is precisely what Shen did. 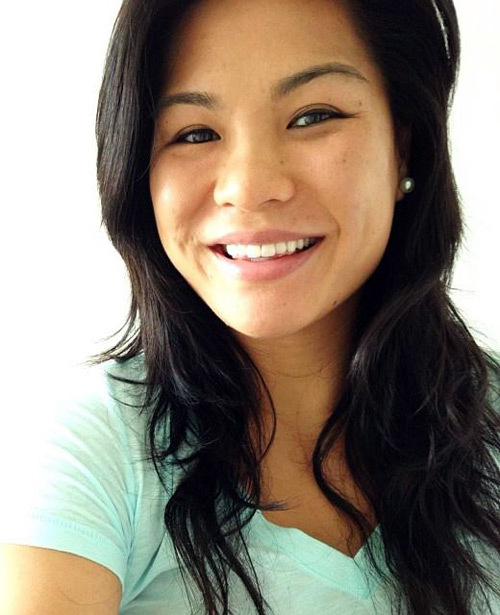 She joined a boxing group while studying at Virginia Tech. 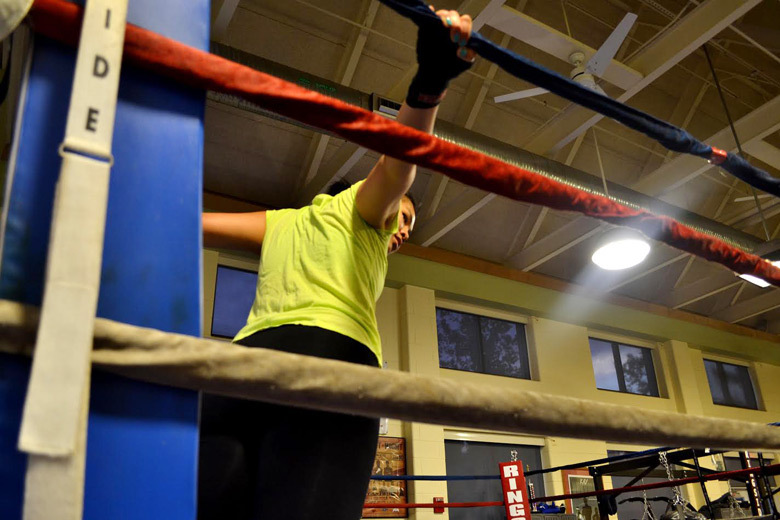 Looking back on it, Shen and her coach Kay Koroma — a well-known Alexandria, Va., boxer who previously won the Global Boxing Union middleweight title in Zambia — agree she had a lot of heart but absolutely no training. Koroma was willing to help her out and get her where she needed to be to become a great boxer. Koroma first met Shen at the July Justice Fights at Fort Myer, Va., where Shen used only her basic skills during a competition. Koroma started Shen from scratch, teaching her the basics, how to throw her punches right and defense. He said he took the time to teach her what boxing is all about. He also took her to other tournaments so she could observe how other people compete. And Shen was determined to be great at it because it’s what she loved to do. After their initial meeting, she has been meeting with Koroma and training with him and other young fighters with the Alexandria Boxing Club ever since. She immediately noticed the difference in her competitiveness and knew it’s what she wanted to pursue, and Koroma would help her get there. “The workout regime, the people, the work that I got. It was like a lightbulb went off. I thought I already knew a little something, but Kay showed me that there was so much more to learn,” she says. With Koroma’s guidance, Shen previously won silver and bronze in the U.S. Nationals and gold in Taiwan. And with those accomplishments, she’d already broken barriers even before becoming an official member of Team USA, which puts her on the roster for the XXXI Olympic Summer Games in 2016 in Rio de Janeiro, Brazil. And she intends to set the right example for young girls growing up under similar circumstances to her. The only person stopping me is me, and I’m not stopping. Shen says her mom is very traditional and doesn’t believe boxing is something girls should do. But boxing boosts Shen’s confidence, even though she can often feel her competitors underestimating her when she shows up at fights. Raytevia Evans Raytevia Evans earned her masters in journalism and mass communication with a magazine focus at Kent State University. Her hobbies include lots of movie watching, tons of music listening, and as many naps as she can fit into her busy schedule.